Saturday’s Weekend Australian had the first part of their Best Books feature, covering contributors from A-K, and including a list of my favourite books of the year. You can read that list there, but since it was a cut-down list I thought I might do a rather more comprehensive list here (just as I did in 2009 and 2010). The first thing that needs to be said is that my reading this year has been a bit disorganised. As well as doing a lot of reviewing, I spent a big chunk of the year rereading some of the SF and Fantasy I loved as a teenager, with a particular emphasis upon New Wave writers from the 1960s and 1970s. Some of that material hasn’t travelled well (and I can report I still struggle with Delany) but a lot of it is as good as it was 30 years ago. Certainly books such as Silverberg’s Downward to the Earth and Le Guin’s The Word for World is Forest have more than stood the test of time. Of what I did read a lot was fabulous. Despite the inexplicable;e decision of the Booker Prize judges to exclude it, one of the real highlights of the first half of the year was the final part of Edward St Aubyn’s Melrose Trilogy, At Last, a book that while the least of the three was so brilliantly written and beautifully crafted it scarcely mattered. Alan Hollinghurst’s The Stranger’s Child was also left off the Booker shortlist, a decision that probably reflects the way the book divides readers (Daniel Mendelsohn’s review in The New York Review of Books is certainly worth reading). I don’t think it’s perfect – certainly the satire lacks the urgency of The Line of Beauty, and it takes a while to hit its straps – but it’s complex and moving and very funny nonetheless, to say nothing of being thrillingly good line by line. Another Booker exclusion, and no less baffling despite its subject matter was China Mieville’s Embassytown. I don’t want to get into a slanging match about literary awards and genre books, but there’s no question in my mind that Embassytown establishes Mieville as a major, major writer, or that the first half of Embassytown was the most intelligent and exciting thing I read this year. It’s tantalising to wonder what David Foster Wallace would have made of Mieville: both grapple with similar questions, and while their styles are very different, both seek to push language into shapes it’s not accustomed to. But sadly it’s not a question we’ll ever have an answer to. What we do have is The Pale King, the book Foster Wallace was working on at the time of his death, and a work that only serves to underline the tragedy of his decision to take his own life. Even unfinished it contains everything that made Foster Wallace such a prodigy: the brilliant prose, the wit, the massive intellect, yet it also offers a lyricism that was absent in a lot of the earlier work, and stands as a monument not just to Foster Wallace but to the efforts of his editor, Michael Pietsch, who assembled the book out of its constituent parts. Still in North America I loved both Michael Ondaatje’s almost-memoir The Cat’s Table and the one book on the Booker Prize shortlist I did unreservedly enjoy, Patrick deWitt’s hallucinogenic Western, The Sisters Brothers (if you’d like to read more about my views on it check out my review of the Booker shortlist). Of the Australian fiction I read this year (and for whatever reason I haven’t read a lot), I loved Malcolm Knox’s brilliantly vernacular surfing novel The Life, Georgia Blain’s fascinating exploration of the fault lines of contemporary middle-class life, Too Close to Home and Kerryn Goldsworthy’s instalment in New South’s series on Australian cities, Adelaide. Of the Science Fiction and Fantasy I read I adored Jo Walton’s Among Others, not just because it’s a great novel but because it’s so pin-point accurate about its period, and a lot of Geoff Ryman’s collection of short fiction, Paradise Tales (if you’ve never read Ryman read ‘The Filmmakers of Mars’, and you’ll see why). I was also an early adopter of Lauren Beukes’ fabulous Zoo City, a book that’s brought Beukes much-deserved fame and (one hopes) fortune, as well as winning her a swag of awards. 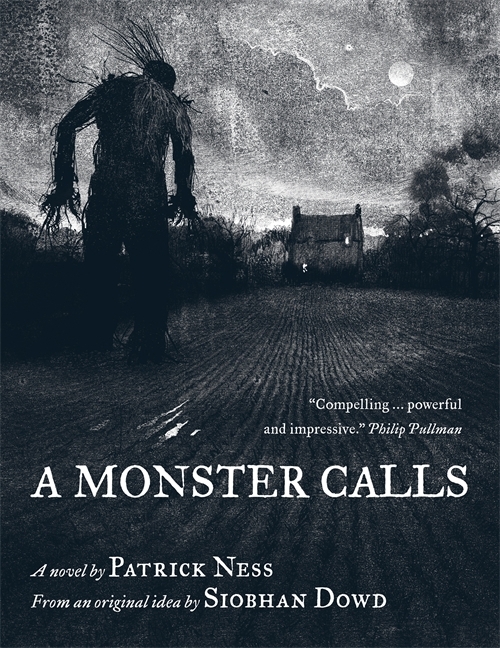 And while I’m not sure whether it really counts as Fantasy, I loved Patrick Ness’ A Monster Calls, a book that’s not only incredibly moving in its own right, but due to Jim Kay’s gorgeous illustrations and some lovely production by Walker Books is also one of the most beautiful objects I’ve seen this year. I’ve also read several terrific things in the past fortnight, three of which deserve a mention here. The first is Maureen McHugh’s fantastic collection of short stories, After the Apocalypse. Despite recommendations on this site and Twitter I’d never quite gotten around to reading McHugh, but having now read After the Apocalypse and her 1992 novel, China Mountain Zhang off the back of it I’m mostly sorry I waited so long. If you haven’t read her you can download her 2005 collection, Mothers & Other Monsters for free from Small Beer Press, or check out one of the title story from After the Apocalypse in Jonathan Strahan’s Best Science Fiction and Fantasy Volume 6 early next year. Or just buy the book: it’s brilliant. Two other recent reads I loved were Colson Whitehead’s Zombie novel, Zone One (although since I’m reviewing it for The Sydney Morning Herald I won’t say much other than while it takes a while to get going once it does it’s incredibly moving), and Ian McDonald’s immensely entertaining YA SF novel, Planesrunner (you can also read a long piece by me about McDonald’s last novel, The Dervish House, on The Spectator’s Book Blog). But in the end there were probably four books I loved more than any others this year. The first was my partner Mardi McConnochie’s new novel, The Voyagers, a book I’ve recommended before but am happy to recommend again. The second was Lev Grossman’s brilliant sequel to The Magicians, The Magician King, a book that exceeds the promise of its predecessor in every way and contains one of the most wickedly intelligent and magnificently entertaining 100 pages you’ll read this year (you can read my review here). And the last two were Karen Joy Fowler’s amazing (and World Fantasy Award-winning) short story collection, What I Didn’t See (you can read an excerpt here) and Dana Spiotta’s stunning meditation on celebrity, family and loss, Stone Arabia (which is being published in Australia by Text in a few weeks and I’m reviewing for The Weekend Australian early in the New Year). All of them were wonderful, and rather than explain why I’ll just say buy them: you won’t be sorry. I agree 100% about A Monster Calls. Haunting and moving. I admit it took me a while to get into Grossman, but The Magician King won me over eventually. As for other reads, a lot of my reading has been a bit of a blur as I’ve been trying to knock over some classic novels (rediscovering Greene has been an utter delight), but The Last Werewolf stands out for me to be one of those genuine surprises that come every so often.